I think it’s safe to assume that motorcycle riders (and regular readers of my blog) are typically pretty aware of the risks that come with getting on the back of a bike and hitting the road. And my readers are smart enough to do what they can to lower those risks as much as possible without sucking all the fun out of the experience – ie helmets, leather jackets, big awesome boots – you know the drill. But some risks remain outside of your control: road conditions, all those other bad drivers, and defects in the motorcycle itself. According to CNN, in both 2013 and 2014, Harley Davidson issued safety recalls for over 125,000 touring bikes. This got my PA motorcycle accident lawyer brain working. Let’s say you own one of the affected models. How do you hear about a recall in the first place? What’s the difference between a design defect and a manufacturing defect? Can a Pennsylvania motorcycle accident lawyer help you to protect your rights in case of a crash? Manufacturers are required to follow some safety guidelines in order to sell their products. Motorcycle recalls can be initiated by either the product manufacturer (either the manufacturer of the bike, or the specific part), or by the National Highway Traffic Safety Administration (NHTSA). When this occurs the manufacturer is required to contact the motorcycle owners and repair the defect at no cost to those owners. Some problems with your bike are not readily apparent, even to the experienced rider. You may be riding your bike for months or years with weak fuel lines or poorly fabricated tires before they fail, leading to a crash or fire. Yes, these unseen items can lead to a recall. The product may have been manufactured improperly (such as exposed wiring or contacts, or a part susceptible to rust being open to the elements). There may be a design defect, like a poorly located part that throws the bike’s balance off. There may have been incorrect or inadequate instructions issued on the safe use of the part. If you are involved in an accident in which any of these factors are present, you may be eligible to collect damages. Faulty brakes – Faulty brakes lead to collisions, which can obviously be catastrophic for motorcycle riders. Defective tires or wheels – Defective tires and wheels, or improperly aligned wheels lead to wobbling, imbalances, and blowouts, all of which have impact on your ability to control the bike. Defective handlebars – Defective handlebars make it more difficult to steer the bike. Defective Fuel Line or Tank – Defects in the fuel system, the gas and accelerator mechanisms, and hydraulic components are fire hazards. Failure in the hydraulics lead to issues controlling the bike as well. You can get the latest information on safety recalls or on the safety issue of specific makes and models of motorcycles at the NHTSA website, or by contacting the manufacturer of your bike, or your dealership. To report safety concerns, use the NHTSA Auto Safety Hotline at 1-888-327-4236. If your bike is recalled, there’s no reason to panic. Call the dealer from whom you bought the bike, and they will let you know how to get the issue remedied. And remember, you are not on the hook for repair costs. The manufacturer of the defective part or vehicle is required by law to make their product safe. 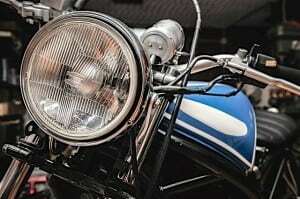 Should I contact a motorcycle accident lawyer? Yes. If you’ve been involved in an accident and you believe a manufacturing or design defect may be responsible, motorcycle accident lawyers familiar with Pennsylvania and New Jersey law, and with the latest recall news and safety regulations can help you determine your next steps. Remember, if you are injured because of a defect in the bike or a part, you may be able to collect medical expenses, lost wages, pain and suffering damages, disability or disfigurement compensation and expenses. Don’t be shy about reaching out to PA motorcycle accident lawyer Lee Gaber, Esquire at 1-888-292-5352 if you have any questions about safety recalls, especially if you’ve received a notice in the mail, or if you own one of the affected models. New Jersey and Pennsylvania consultations are totally free.